Blowout Sale! 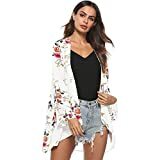 Up to 57% off on Cardigans at Kollaboration Chicago. Top brands include Love Stitch, NIC+ZOE, Lucky Brand, Taydey, Lark & Ro, Urban CoCo, Geckatte, PRETTYGARDEN, Jancure, Farktop, TINHAO, Elie Tahari, Sidefeel, ZANZEA, OLRAIN, Woman Within, ECOWISH, Lynwitkui, & Purple Hanger. Hurry! Limited time offers. Offers valid only while supplies last.